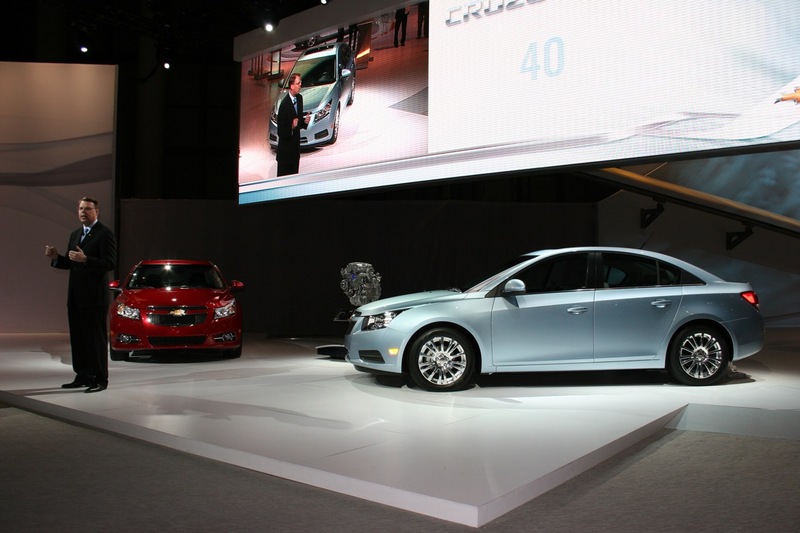 Chevy whipped out a pair of Cruzes at the show, to mild acclaim. Not that there was anything wrong with them…the RS is a sporty-looking version, and the Eco offers 40 miles per gallon with its six-speed manual. Now, if they’d announced a Camaro SS with the ZR1 engine…or better yet, driven it into the hall through the wall…that would have raised some heart rates. Better PR, too.